As you start spending more and more time on computer, you also tend to look for software applications that can help you with your daily tasks. While the exact list of tasks that one performs on a daily basis usually varies from person to person, some tasks are quite common, such as creating to-do lists (for both personal and professional work) and reading news. If you are on Linux, and are searching for applications that let you create a to-do list and keep you updated with latest news, you don't have to look any further as in this tutorial we will discuss the installation and usage of applications - FromScratch and Newsup - that are meant for exactly these purposes, respectively. Please note that all the commands and instructions mentioned in this article have been tested on Ubuntu 16.04 LTS. 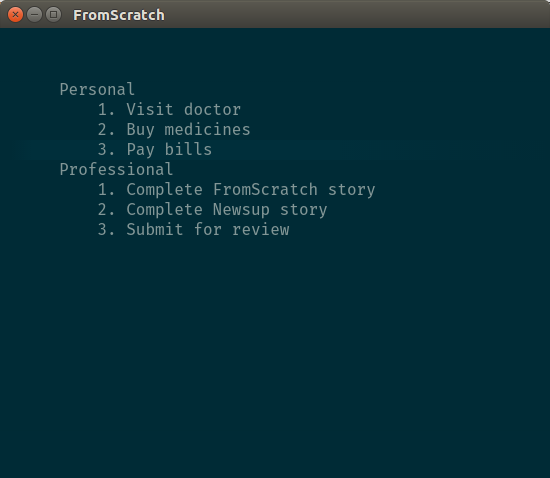 Also, the FromScratch and Newsup versions we've used are 1.1.1 and 1.0, respectively. 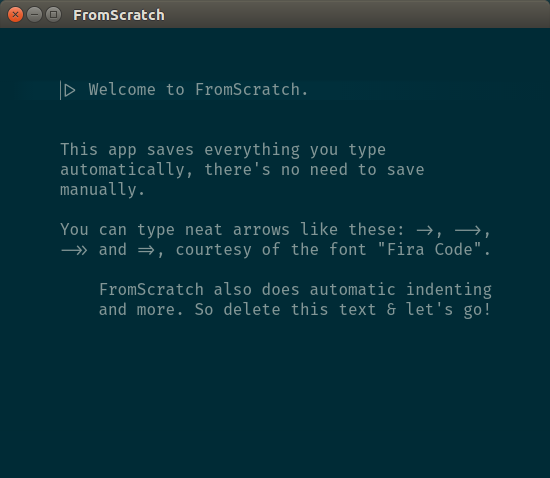 According to the tool's official documentation, FromScratch is a "simple but smart" note-taking or to-do app that is free to use. The whole focus of the application is on the text the user types. Some of its key features include: auto-saving, auto-indenting, and note-folding. The tool is available not only for Linux, but for Windows and Mac OS as well. 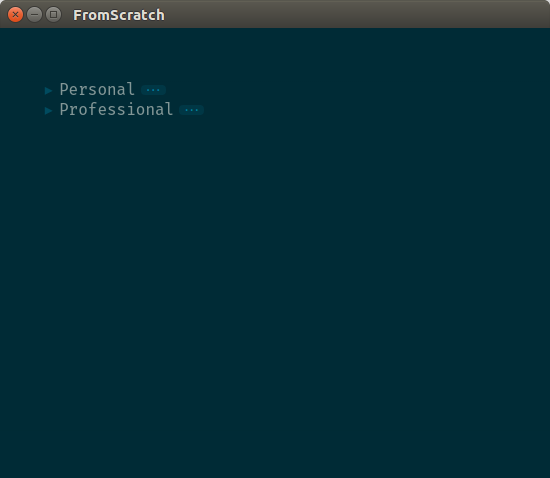 Downloading and installing Fromscratch is pretty easy. All you have to do is to head to the application's official website, and download the app by clicking the download link on the home page. Consequently, a .zip file will be downloaded - FromScratch-linux-ia32-1.1.1.zip in my case - which you can easily extract. Now, enter the extracted directory on the command line and run the executable file present in it. As you can see in the screenshot above, the tool gives you a brief idea about itself, including what all it's capable of. As instructed in the window, I deleted all the introductory text and created a couple of to-do lists for me. To unfold, simply click the three-dots in front of the list heading. Newsup is an application that brings latest news from various major mainstream media outlets. According to the application's official website, Newsup is fast as well as simple to use, and offers out of box support for both 32 and 64-bit architectures. It also says that Newsup is the "best app in Linux town." The Enough News For Now button - as the name suggests - closes the Newsup application. 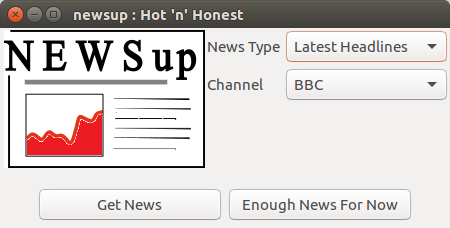 Agreed, FromScratch and Newsup are not the only note-taking and news applications available on Ubuntu, but these are definitely one of the most simple ones. And more often than not, we don't really need feature-heavy tools to perform our tasks. If these applications fit your case, do give them a try, and in case you are already using any such app and are more than satisfied with it, share the names with us in comments below.